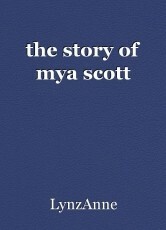 this is the story of mya scott. she was left on a street corner. how will her life turn out? will she ever find her family? I am Mya Scott. My family left me here when I was a baby, on the corner of Strawberry Street and Apple Avenue. I have lived the worst life possible and nobody cares about me. I do not even know how to read or right. I do not need to. All I need to know is how to get people to feel sorry for me, an 16 year old girl sitting here and sleeping in a box. Everyone who comes by just stops to stare. I am lucky enough to find little scraps of food tonibble on knowing the birds will be mad. Today I heard people talking about this person called Santa Claus. I have never heard of him any other time except now. He sounds wonderful, bringing little boys and girls presents. I shouldn’t get my hopes up though because when I wake up tomorrow I will not have anything here but the clothes I own and the big box I sleep in. Nobody brings me anything that is new or even nice. Santa probably does not even know that I am here. We are sorry for leaving you on the street corner 16 years ago. Enclosed is a ticket to Chicago, Illinois. That is where we live now and we would love for you to bring all of your belongings and come live with us. Also, you have twin little sisters who are currently eight and can share a room so you can have your own. Again, sorry for leaving you on the corner 16 years ago. We miss you Mya please come home. That was the sweetest letter I have ever received. And now I know who my parents are, Micayla and Mike! Twin little sisters sound fun too. I just hope that they do not mind me while I am there because I would not want to disturb their family by coming because of a letter. What if they do not like me. Now I know what I am spending the $200 on! Stuff for my sisters and parents. I just want them to like how I do things and accept that I will not eat the food off the table; I eat leftovers. Going in a cab to the airport took ten minutes. Since I live in Philadelphia, Pennsylvania I have to go through all the security things because I am not twelve anymore. The airplane only took two hours to get to Chicago, where I have never been before. When I got there, there were four people standing with a sign that said Mya. At least that is what I think it said since I cannot read. They were the nicest people I have ever met and when we got back to their house I saw cake and ice cream. They all shouted “WELCOME HOME MYA!” It was spectacular and I could not believe that I was now standing in my new home eating stuff that was not leftovers. I walked into the next room to put all my bags down. It was my new room. All the pink and blue things you could imagine were in there. When they saw me coming in with presents with tags that said: The Twins and Micayla and Mike they said that I did not have to give them anything. I insisted on giving them the presents so they opened them. Each of the twins got a purse with little earrings in one of the pockets. Mom got a nice locket with a picture of me in it and Dad got a new pink and blue tie with matching socks. They loved their gifts and all gave me hugs. The twins each had a present for me to. Masie (the oldest twin) got me a new sparkly t-shirt that said I Love My Little Sisters. Maybelle (the youngest twin) got me something that I have been wanting forever since I saw it in a store: A PUPPY! When I saw the dog it was like a dream come true. I was a floppy-eared basset hound. It fur was the softest and the eyes were dark brown. The best thing about it was the ears. You could lift them up and make her look funny. Also, Maybelle had gotten me little bows on elastic strings to put on the ears. This was the best thing I have ever gotten. Maybe even having my own room. 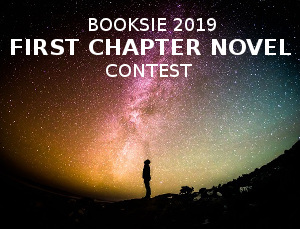 © Copyright 2019 LynzAnne. All rights reserved. The theme is amazing! I love how Mya meets her family in the end, good job. How I dealt with N.